In the wake of the horrific Christchurch shootings, rugby watching was made a distinctly more sombre and subdued affair this weekend. The decision to cancel the match in Dunedin between the Highlanders and the Crusaders was eminently sensible and correct, given it was Christchurch’s own team involved, and it was the day after the event, once the full scale of the tragedy was able to be comprehended. It also felt right that, at other locations, the rest of the competition proceeded as normal – not that anything feels ‘normal’, when people conditioned to live happy, peaceful lives are rendered so powerless and helpless. 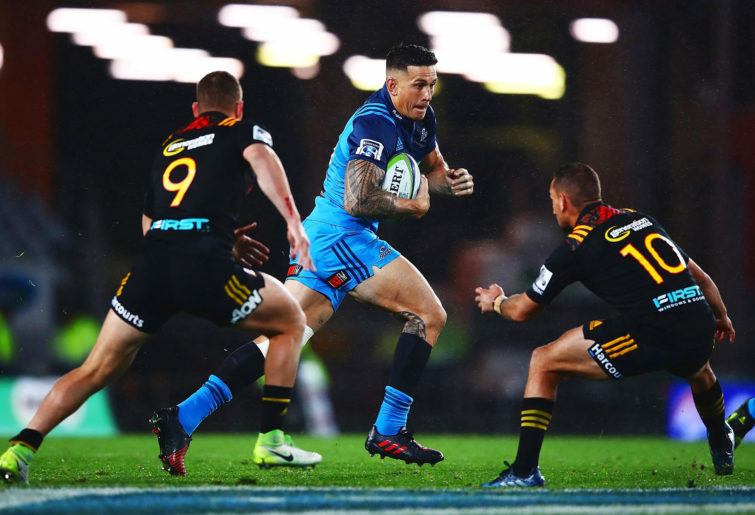 For the record, the Chiefs and Hurricanes contributed to a highly entertaining match, 23-23 good reward for the Chiefs, who, by being less manic and more direct, are slowly beginning to look like a Super Rugby team again. In Canberra it was the ‘battle of the perms’ when Ned Hanigan and Joe Powell indulged in some early push and shove. But it was Lachie McCaffrey – a man with a far less flamboyant hairstyle – who provided the energy and aggression that edged the home side ahead, 19-13. 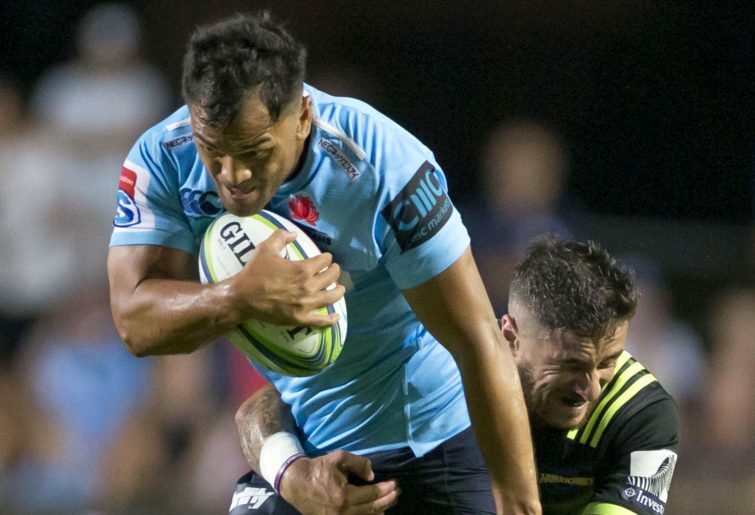 The Waratahs are now at an interesting juncture; two wins from four matches with the Crusaders to come this week represents a concern, as does their error rate. The Stormers might not be a pretty team to watch, but they added their name to the log-jam at the top of the South African conference, comfortably beating a Jaguares side that played too much rugby behind the advantage line by 35-8. There was another excellent crowd in to watch the Sunwolves take on the Reds, and, for the first half, they were enjoying themselves mightily. But after the break, Brandon Paenga-Amosa perfected the ‘quarterback sneak’ for two tries, and the Sunwolves defensive intensity dropped right away – evidenced by letting replacement winger Filipo Daugunu run and wriggle his way 60 metres from a kick-off receipt, that set up the match-winning penalty for Hamish Stewart, 34-31. Those unconvinced about Brad Thorn will remain so, but the Reds are finally on the board, and in this brutal competition, any win is a good win. The Rebels suffered the same plight as the Sunwolves, racing to a commanding lead at 33-5, but not actually taking full advantage of their dominance on the scoreboard, with Dane Haylett-Petty and Tom English both spilling the ball in the act of scoring in the first half. In the end, those ten points were crucial, as the combined effects of playing at altitude, a mind-boggling 20-1 penalty count against, and being forced to make 148 tackles against 67 for the Lions, saw the visitors out on their feet in the final quarter, enabling replacement Gianni Lombard to kick a penalty after the siren, to cap a remarkable 36-33 comeback win. This weekend belonged to Wales however, who dominated Ireland by 25-7 to secure an epic grand slam (is there any other kind? ), and in the process, notch their 16th win on the trot. Captain Alun Wyn-Jones and coach Warren Gatland formed a mutual admiration society afterwards, entirely justified of course, after a Six Nations campaign that had seen Ireland and England enter as favourites. Wales might lack some of the more high profile names in northern hemisphere rugby, but their set piece is solid, the back five of the forward pack in particular is extremely cohesive, and the backline doesn’t overplay its hand. World Cups feature rugby that is invariably tight and tense – Wales currently seem perfectly equipped for this and will play an important hand. Both Ireland and England (who drew with Scotland), exhibited a similar flaw throughout the competition, being an inability to adapt on the run to opposition sides manoeuvring them away from their preferred game plan. It won’t be panic stations yet for either Joe Schmidt or Eddie Jones, however both camps will now go to Japan minus some of the self-belief and confidence they had following the autumn internationals. The 38-38 result at Twickenham was the highest-scoring draw recorded in Test rugby, and marked a second consecutive thriller for these two sides, after Scotland’s brilliant win last year at Murrayfield. And yes, while this time there were no ‘victory laps’, the unkind of heart will have noted the England players celebrating the draw longer and harder than the Scots. Wallaby great Mark Ella turned heads this weekend, using his column in Saturday’s The Australian to call for SANZAAR to cut a New Zealand team from Super Rugby. For good measure, he went on to nominate a merger between the Blues and Chiefs as the way to do it. Ella’s reasoning centred on the accelerating player-drain to the northern hemisphere, and New Zealand’s small population being insufficient to underpin five teams, however his thesis is grossly flawed. In an earlier incarnation of the Chiefs, the Waikato and North Harbour unions proved to be uneasy bedfellows. To imagine throwing Auckland and Taranaki into that mix not only ignores lessons from local history, but also from Wales, where the arbitrary creation of professional regional entities made up of unnatural provincial partners is now a classic case study in how to drive participants and fans out of the sport. Even if such a merger happened – trust me, it won’t – the population imbalance across the four remaining franchises would be ridiculously skewed. Ella also confuses population with ‘rugby population’. China, India and Indonesia might have three billion people between them, but there’s a reason why New Zealand is the number one rugby nation in the world and they aren’t. Inability to recognise what Seinfeld’s George Costanza describes as “hand”, has also been at the heart of trans-Tasman media coverage of World Rugby’s proposal for a global league – which has now been given a title, the ‘Nations Championship’. Banging on about the Pacific Islands, player welfare and threat of player strikes has gradually given way to understanding the power of the clubs and the commercial choice faced by the home unions and the FFR. By all accounts World Rugby has made progress this week on selling the financial and governance reasons for these nations to stay inside the main tent. 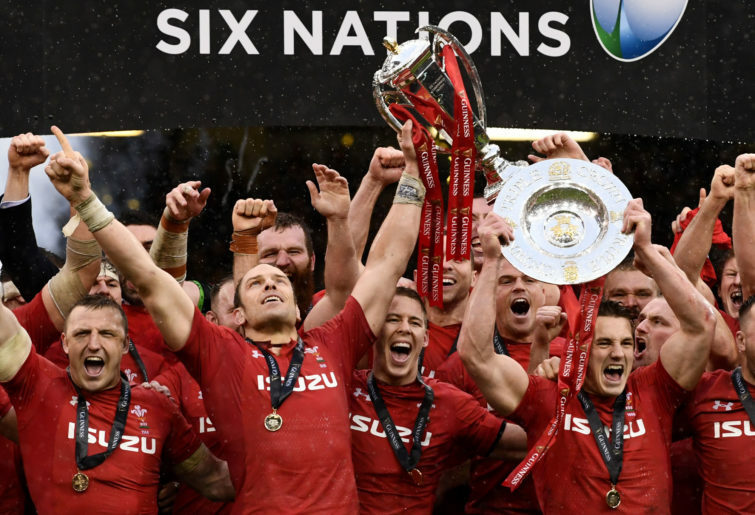 The Nations Championship is to be generously funded by Swiss-based company Infront, the primacy of global Test rugby over club rugby ensured, and full ownership of the game retained by the national bodies. The alternative is for these nations to take more money up front, without any change of emphasis for the Six Nations, no risk of relegation from a world league, but to trade that off against a far greater degree of influence over the game for the English and French clubs, the skewering of the southern hemisphere nations, and dilution of their ownership of rugby via provision of an equity position for external investor, CVC Capital, a private equity firm that won few friends from its ten-year ownership of Formula One motor racing. By my count, that comes down to the RFU giving up two large chunks of the game – their ‘hand’ – one to the clubs and another to a private equity partner. Three parties certain to have different views and ambitions for the future of the game. By that measure, making a deal with World Rugby and the pesky southern colonials should be a breeze. But just like Bernard Foley lining up two shots at goal from very handy positions in Canberra on Friday night, or the Sunwolves and Rebels coasting to victory at halftime – rugby fans have learned to take nothing for granted.